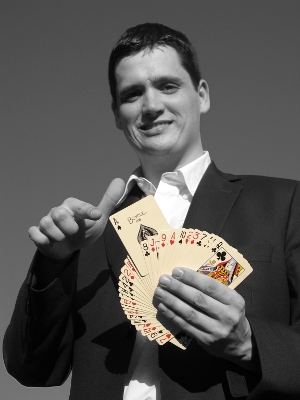 Ludovic specialized himself into close-up magic. He travelled the whole world with his magic and won multiple awards in some major international competitions he particularly loves this kind of magic for its proximity with the spectators. Indeed, magic happens beneath their eyes, and even in their hands. In close-up magic, no need of big props. 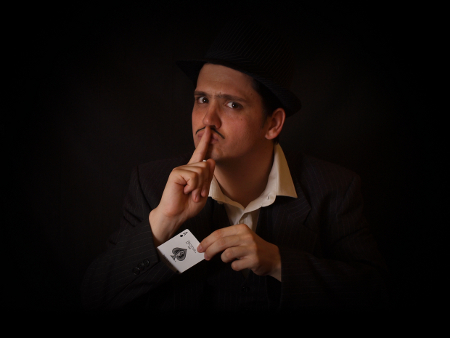 A deck of cards or some coins are more than enough for Ludovic to amaze you. In Ludovic's hands, some every day objects become magical. Magic may then be anywhere: at a restaurant table, during a corporate dinner, in a theatre, at your wedding, for your birthday, or even in your leaving room. Ludovic may perform his entire show in both French and English. Your guests, customers or friends deserve the best. In a restaurant or at a corporate dinner, table hopping magic is a real live show at every table. No traps, no doors, this is only true magic and everyone at the table will live a true unique and unforgettable magical experience. 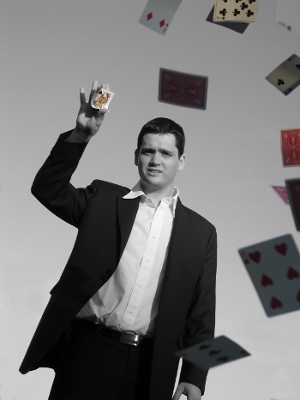 You want a magic show just for yourself, in the most intimate atmosphere as possible ? Then traditional close-up is the best you can get: a table, a magician and a few spectators. That's all what you need to create a pure magical moment. You choose the place: at you home, in a theatre, in a castle, ... Ludovic will transform it into a real stage and will bring you to his world of wonders. Magic will happen beneath your eyes and just for you ! You can not be any closer, you are into the magic, you are the Magic !